Make you holiday traveling a breeze with little ones with these essentials. Oh my goodness can you believe Thanksgiving is a few short weeks away? And Christmas is a little over a month away?! The most magical time of year is upon us. It can also be one of the most stressful time. From gift buying to holiday parties to decorating and traveling; I love this time of year! What I don’t like is all the stress it can bring. I can handle all the parties and decorating but the stressful part for me is traveling. Especially traveling with little ones. used your last diaper or wipe. 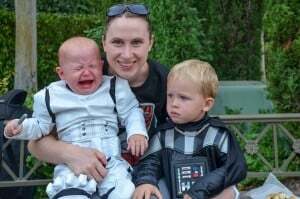 Or be in the middle of The Happiest Place On Earth and have your one year old throw a tantrum because they don’t have his favorite snack (see picture). It’s happened to us before and after a few rushed trips to the store we now make sure we have these essentials with us for every trip. 1. Diapers You can never have enough diapers. OK well maybe you can, but always pack more than you think you’ll need. A good measure is to take one for every two hours you are gone. If you’re going to be gone 8 hours pack at least 4 diapers. If you’re going for a multiple day trip pack 2-3 more per day than you usually go through. 2. Lotion There is something about traveling that makes your skin dry out; it’s even worse for babies and toddlers. Having a soothing lotion on hand will make it so much easier to take care of dry skin right when it happens. 3. Extra Clothes Kids have a special talent for getting anything and everything all over their clothes. Especially when you are going out somewhere nice or you are taking pictures. It’s always best to have at least an extra shirt everywhere you go. If your traveling plan on at least two extra outfits for the trip. 4. Snacks I don’t know what it is about leaving the house, but the second we pull out of the driveway suddenly everyone has the munchies. And there’s nothing worse than being in the middle of a crowded room or on an airplane and having your child screaming at the top of their lungs that they’re hungry; talk about embarrassing! Some of our favorites are fruit snacks, yogurt puffs or dum dum pops. 5. Children’s Pain Reliever This is something you probably won’t need but if your little one does develop a fever when you’re gone you’ll be happy you have it with you. 6. Pain Reliever for Mom and Dad This is a must have for your sanity. 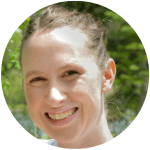 Whether it’s a headache from the constant squealing of little ones or a sore back from being in the car all day, you will almost definitely need some sort of pain reliever for yourself. We’ve taken four trips with our boys and I’ve used the pain reliever I packed for us every time. 7. Books Kids of all ages love to learn and books are a nice, quiet way to keep your kids busy in the car, plane or at a restaurant. Better yet, get books that have things kids can touch, feel or open. 8. Surprise Toy/Present This doesn’t have to be anything extravagant but if you are going to be sitting in the car for a long time or taking a long plane ride it’s always good to have something to keep your little ones entertained after the fun of reading and the snacks have run out. Some of our favorites are little cars, coloring books or stickers. 9. Favorite Blanket or Stuffed Animal Traveling can be especially hard for little ones. They are out of their routines and don’t know why they are sleeping in a different bed or taking a nap somewhere unfamiliar. Having something of comfort, like a blanket or stuffed animal, makes it feel a little bit more like home no matter where they are. 10. Wipes Even if you don’t have little ones in diapers it’s always good to have wipes with you to clean faces and hands. 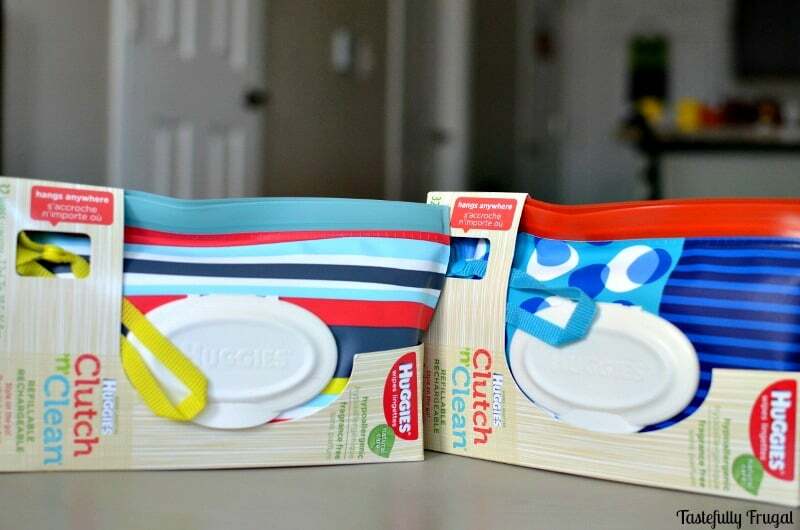 My go to wipes are these Clutch’n Clean Wipes from Huggies. Not only are they soft on my boys’ skin but they also come in these fashionable cases. The snap latch makes them easy to attach anywhere in a diaper bag. 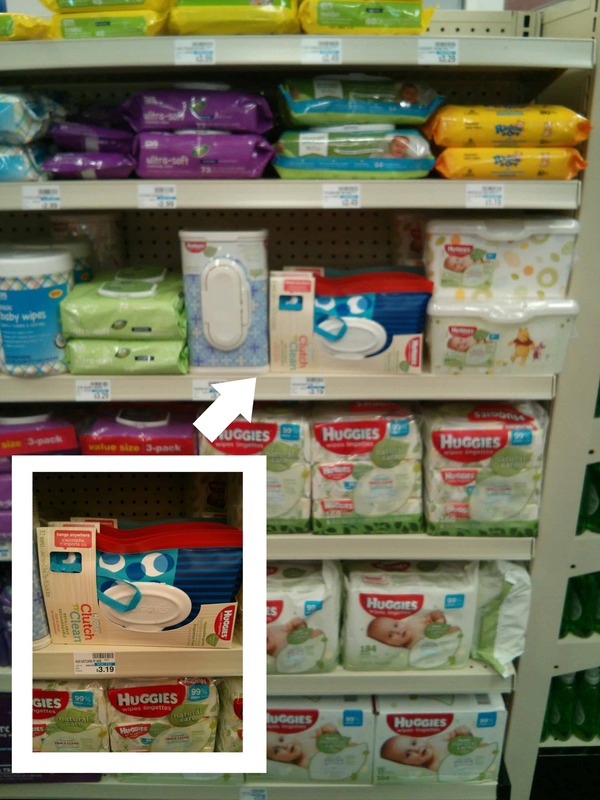 No wonder they are the #1 wipes choice for moms! 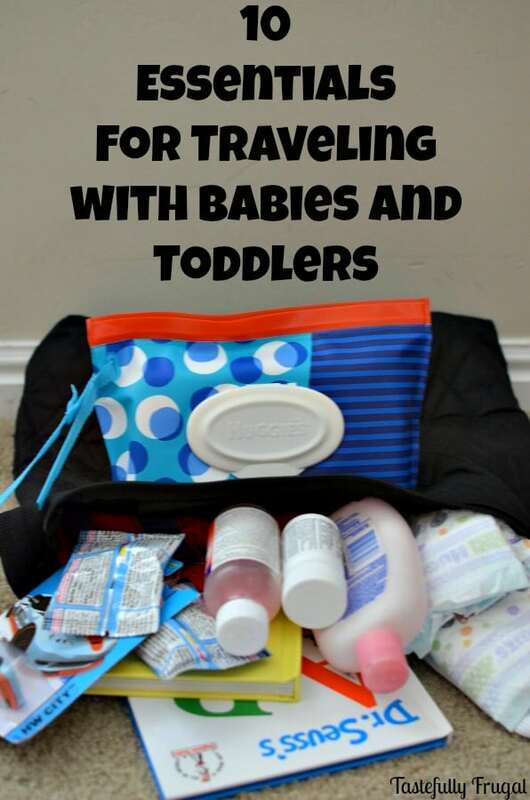 If you are traveling or out and about and find you need something for your little ones stop by a CVS; they are your one stop shop for anything you might need. They just opened a new CVS right down the street from our house and that’s where I found the Clutch’n Clean Wipes. It’s so nice to be able to get in and out of a store with what you need in less than 3 minutes! Are you traveling for the holidays this year? 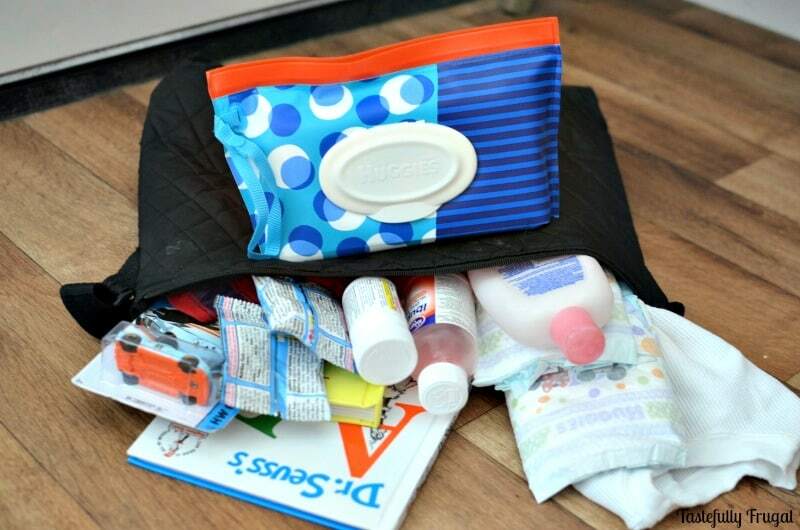 What is your in your travel diaper bag? For more tips and tricks for holidays with little ones check out #CVSHuggiesHeroes on Facebook, Twitter or Instagram.